This article appeared in http://insideradvantage.com/2018/04/27/dalton-gop-sen-payne-faces-primary-challenger-from-his-right/ on Friday. Here’s another race to watch: The Republican primary race for state Senate District 54 in the Dalton area has heated up over the topic of illegal immigration and the failed attempt at illegal alien driver’s license reform in the 2018 legislative session. A conservative political newcomer, Scott Tidwell, a pastor and assistant funeral home director from Resaca has challenged Incumbent Senator Chuck Payne and is apparently seeing increasing support in the North Georgia district. 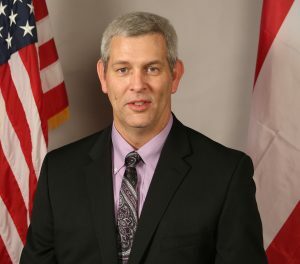 Payne is under a barrage of fire for being one of two Republicans who voted with the Democrats against Senator Josh McKoon’s SB417 in a March Public Safety Committee hearing, which resulted in the bill’s demise. The same language was then inserted into an already-passed House bill and offered for reconsideration in the same committee. This time, Payne was the only Republican to vote “nay” as it moved on but was never allowed out of Senator Jeff Mullis’ Senate Rules committee. McKoon also tried to amend the House distracted driving bill as it passed the senate with a greatly abbreviated version of his reform language but enough Republican senators wanted to pass a “clean” cell-phone bill to decline the floor amendment. As can be seen on the official senate committee hearing video, Payne’s apparent lack of full understanding of the bill and the territorial limits of state law had several watchers shaking their heads when he asked McKoon how, if passed, the Georgia law would be enforced “out of state”. Neither was it clear that first-term Senator Payne understood that the federal government operates the TSA airport security and decides what ID is acceptable for boarding airliners. McKoon made it clear in his presentations that the goal was to end the practice of issuing the same driver’s license to illegal aliens as are given to legal immigrants and guest workers here with temporary visas. He also explained that the proposed new driving document would only be good for driving privileges and would not be counted as an ID document for state or federal purposes and would be marked as such. In 2016, a McKoon-sponsored bill with similar language sailed through the Georgia senate with thirty-seven Republican votes but was never allowed a hearing in the House. Among the “yea” votes was Payne’s predecessor, former senator Charlie Bethel. Payne’s liberal position on illegal alien drivers licenses and his confusion seen in the now widely disseminated committee hearing video has not gone un-noted by conservative voters in his district. 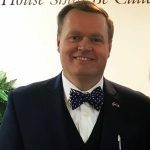 Neither has the fact that the president and CEO of the Greater Dalton Chamber of Commerce, Rob Bradham, attended the Gold Dome hearing and testified against allowing the measure to move out of committee. Full disclosure: This writer testified at the same hearing in favor of the legislation. Payne’s remarks at a recent Dalton Daily Citizen newspaper candidate forum in which he told challenger Tidwell “you were already a loser before you even came out of the gate” and that the legislation reforming the system by which illegal alien drivers licenses are issued was “not an immigration bill” have cost Payne considerable conservative support. Some estimates have put the annual cost of illegal immigration to Georgia taxpayers at $2.4 billion. The U.S. Department of Homeland Security says Georgia is home to more illegal aliens than Arizona. 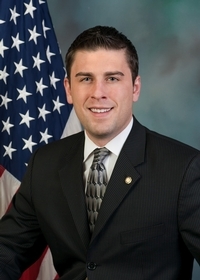 Payne told the audience that “Georgia doesn’t deal in immigration” and that the state “doesn’t have immigration laws” – apparently unaware of the numerous state laws put in place on illegal immigration since 2006 – including E-Verify, public benefits protections and ‘sanctuary cities’ laws – and 2011’s internationally publicized HB 87. I noted that we approach the future under Donald Trump, ‘with a dash of hope,’ but also with a marked lack of enthusiasm. The TEA Party experience seems to have evaporated into thin air after having achieved three consecutive election victories for Conservative principles that finally showed the Marxist-Democrats the door. But those rascals are still out there plotting and scheming and organizing, to undo the grass works efforts that made a Trump Presidency and a Republican Congress possible. From Republicans, there is no gratitude. Shockingly, the lack of acknowledgement of that effort from our stunned elected politicians who constitute the Republican Party, and who still fail to grasp the import of the tidal wave of political change that eliminated the Democrats, has also swept the GOP’s influence out the door too. They are still reeling in disbelief wondering how a pragmatists became their leader. Apparently some have even “reached across the aisle” to join hands with the Socialist enemy to try to restore their combined hegemony over the American political process. Let the looting continue. Primary among the GOP “Never Trumpers” stands 4th place loser John Kasich, Governor of Ohio who, if the frequent appeals from his web site to my email address are any indication, still believes he should be the rightful Republican candidate so as to restore to proper governing, the failed process of “bipartisanship” and return our government to the capable hands of the one world government crowd composed of mega banks, international corporations and the quasi assembly of third world nations gathered under the blue banner of the United Nations. 2018 will be another important midterm election experience for conservatism. Also judging by the volume of their appeals for donations, Democrats must truly believe, because Americans really, really hate Trump, that they will capture the House and the Senate again. How they accomplish that goal with an intractable and intransigent, but aging leadership, themselves ready for hospice care, is in serious doubt. Their message never changes, free stuff for everyone, no border walls, protect sanctuary cities and states, and free education and glorify perversion because it’s only fair. Future leadership for the Democrat party is an unspoken contest between old time American leftists and the corroding influence of foreign ideals (Islam), they are trying to force into the American culture as a norm, a precursor of the coming jihad that turns America into a Caliphate. Presently, both party’s find their bases confused by indecision. For the Democrats, it’s do they move further left and double down, or move center right to save themselves? For the stupid Republicans, a golden opportunity has been laid at their feet and sure as heck, they’re going to flub it. Where is the TEA parties when we need them? The GOP needs to be cleansed of its socialist heretics. Younger conservative candidates need to be encouraged to step forward and seize the reins of American constitutionalism. As my friend Jack Smith reminds us constantly, “if not now, when?” “If not you, who?”…or something like that. We’ve got to get moving, now.